The Borges Center, the most important site for work on the Argentine writer Jorge Luis Borges (1899-1986), moved from the University of Aarhus (Denmark) to the University of Iowa in 2005, and has now moved to the University of Pittsburgh, where its director, Daniel Balderston, has been Andrew W. Mellon Professor of Modern Languages since 2008. The Borges Center is an academic center sponsored by the Department of Hispanic Languages and Literatures and the Dietrich School of Arts and Sciences of the University of Pittsburgh. 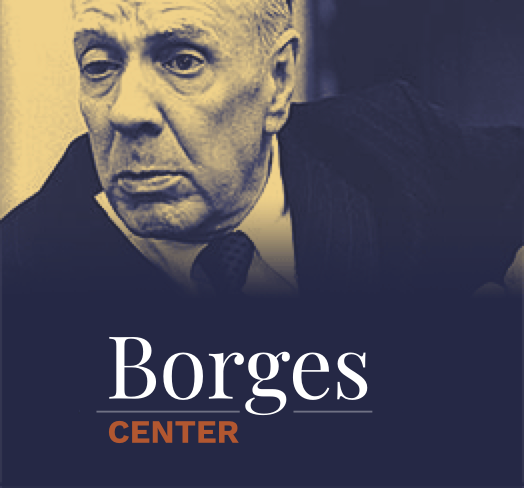 You are cordially invited to visit the other pages of the Center, devoted to our trilingual journal (Variaciones Borges) and index to his work (the Finder's Guide), the large collection of Criticism and the database of Borges Center's Archive. If you have corrections or suggestions, or want to submit articles in PDF form for inclusion in our online archive of Criticism, please communicate with us at borges@pitt.edu. The editor of Variaciones Borges, and director of the Center, is Daniel Balderston. Alfredo Alonso Estenoz (Luther College) is the associate editor of the journal. Advisory tasks are entrusted to an editorial board.